Paris, the city of Love, doesn't really need much of an introduction, does it? It’s universally acknowledged to be the most romantic place on Earth, and it’s the world’s cultural center, replete with brilliant roadside cafes, art shows, fashion shows, and other cultural activities that never cease. 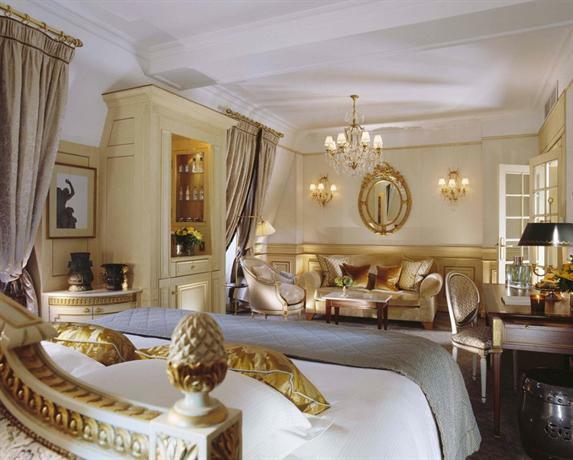 However, to really enjoy Paris in all its romantic splendor, you need to stay at a boutique five-star hotel. Below, we’ve compiled a list of some of the most expensive and luxurious Five star hotels from which you can truly enjoy the City of Light in all its glory. 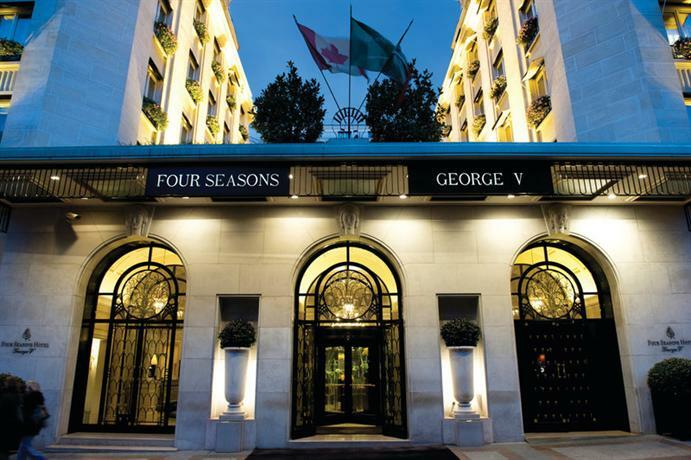 The Paris Four Seasons hotel was originally established in 1928 to honor George V. Originally, the hotel bore a distinctly Art Deco aesthetic, though recent renovations favored a more modernist look. It is perhaps the most extravagant and opulent hotel in all of Paris, with the appearance and visage of a Palace, vast sprawled out hallways and rooms, and gastronomic food that simply doesn't cease to delight the senses. It also features some of the most charming flower displays and arrangements made by the hotel’s Florist. It’s located amidst the golden triangle of Paris, snug between the Champs-Elysées and Alma-Marceau. This entire neighborhood is always buzzing with high art, culture, and life. The hotel is also much revered in the city because of its rich history and heritage. As already mentioned, it was created in an Art Deco style, however over the years they’ve been auctioned off to go for a a pared down look. Now one can only see echoes of its past, though sometimes that is enough. Even the simplest of the rooms are all luxurious. Some of the rooms feature heavy patterned wallpapers with densely patterned bedspreads, however most of the rooms are minimalist in aesthetic. Perhaps one of the most convenient aspects of staying at the Hotel Ritz is the fact that it’s located close to eight different metro stations that can take you wherever you want in Paris. As such, you couldn’t find a hotel better connected than this. The only slight hiccup is that it comes with a pretty expensive price tag. 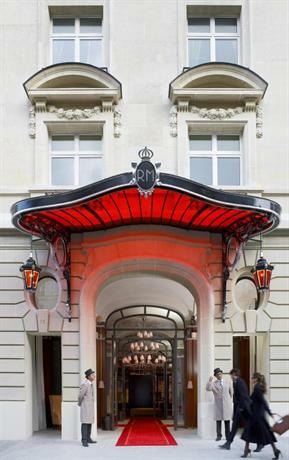 The hotel has been designed in a luxurious 18th-century Parisian style, and is just walking distance from attractions such as Place Vendôme and the Palais Garnier. The rooms in this hotel are actually called apartments, which is just one of many efforts the hotel takes to make them feel more homely to the visitors. These rooms come in neutral tones and shades, though they have a spattering of gold embellishments. 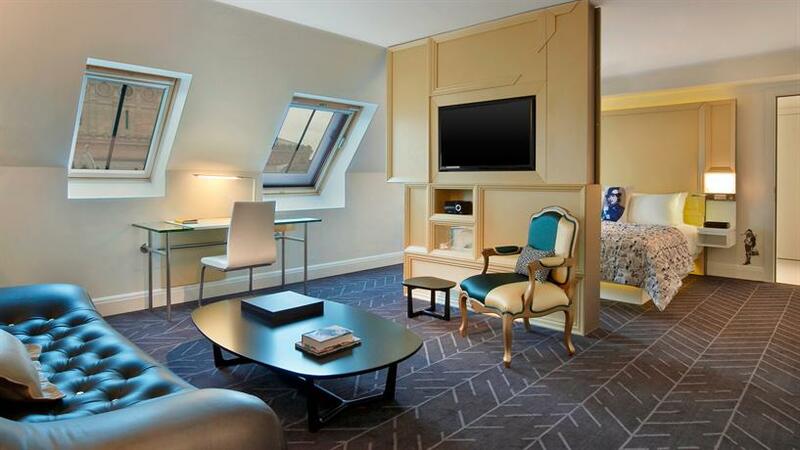 The Prestige Suites of the hotel all bear a distinct personality, as they overlook specific landmarks of Paris. You can even check yourself into the Suite Coco Chanel, which has been named after their most famous guest and is designed in the visage of her most popular designs. If you’re in the mood for a drink, you can go over to the Bar Hemingway, or you can grab a meal at L’Espadon. In fact, the hotel also offers a complementary cooking class in case you’re interested! This is a typically extravagant and luxurious boutique five star hotel, made in a Parisian style but with modern amenities such as complementary WiFi, large screen LED TVs, etc. The suites are a pleasantly strange hybrid of traditional details rendered in a modernist style. The bathrooms feature marble flooring, with dark wooden cabinets and fixtures. If you’re into a bit of history, this is the hotel where the Paris Peace Accords were signed, thus putting an end to the Vietnam War. It is also quite well connected with a metro station close by, and sites such as Champs-Élysées and the Arc de Triomphe just walking distance away. To top it off, all guests can avail of up to three hours of complementary chauffeur service to take them around Paris. After a long and tedious day exploring the city, you can return to their charming restaurants — LiLi, or L'Oiseau Blanc. The former of these gives you a taste of lovely Cantonese dishes, whereas the other features traditional Parisian dishes along with a stunning view of the Eiffel Tower. This hotel was established back in 1925, and it thankfully prioritizes heritage and aesthetic over contemporary designs. It is also famous for having hosted such celebrities as Charlie Chaplin and Marilyn Monroe. It’s also the home to a rooftop swimming pool from which you can look over the entire city lit up at night. You can also go and get yourself a nice spa therapy if you’re stressed, and if you have children you can drop them off to play at the kid’s club. The five star hotel is built with a grand and luxurious limestone facade which overlooks the rue du Faubourg Saint-Honoré. The interiors of the hotel and the rooms feature a light pink aesthetic which imbues the boutique hotel with a vibrant aura. As such the general aura of the hotel is definitely feminine, and they even use upholstery in some rooms that is a blend of deep green and pink. 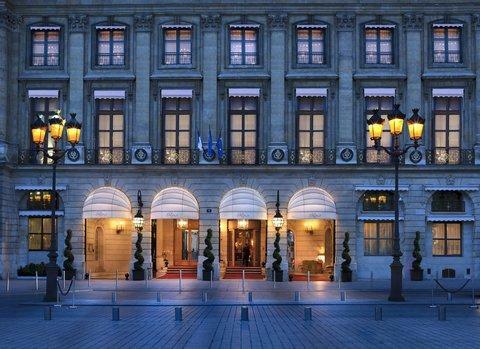 In fact, Le Bristol is one of six hotels in all of Paris which has been afforded the status of ‘Palace’ which is a step above five star status. The crowning glory of this hotel is its 3 Michelin starred restaurant named Epicure, which mostly features french and Parisian dishes. 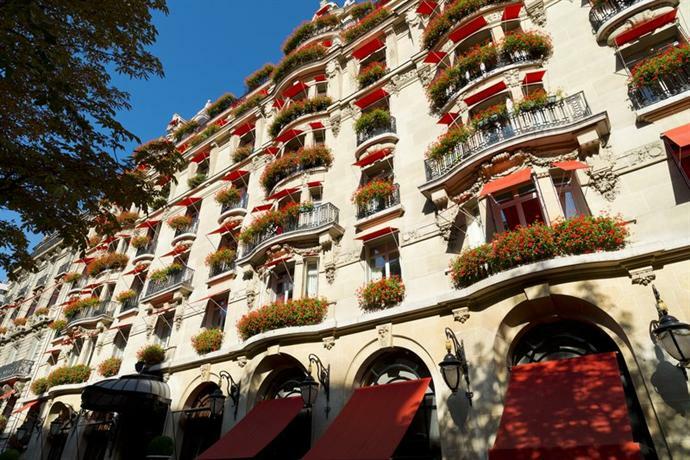 Hotel Plaza Athenee is legitimately what Parisian dreams are made of. It is a luxurious and charming hotel with ornate chandeliers hanging over dining halls, tinkling ever so gently against the wind, and courtyards covered in a variety of foliage and flora. The lobby of the hotel features some ornate flower decorations atop silver conical surfaces. The hotel also features a lovely courtyard that is converted into a winter rollerskating wonderland. As for the rooms, some of them are designed completely in neutral beige and yellow shades, whereas others feature a heavy palette with a lot of purples and chromatic shades. Other than the classy and charming aesthetic, the hotel also features 5 brilliant restaurants, the most popular one being Le Relais Plaza, which has been inspired and fashioned along the lines of Paris circa 1920s. The hotel also offers concierge and chauffeur service, but because of the hotel’s prime location transportation is hardly necessary. It is merely a few minutes walk from Eiffel Tower, Champs-Élysées and the Louvre. In addition to being a location perfect for tourists, the hotel is also located in a place that’s full of stores by big names like Armani, Dior, Chanel, and Vuitton. This five star hotel comes with a boutique spa, a well-equipped gym, an indoor pool, and some charming restaurants and bars. The rooms are replete with Art Deco interiors that give off a very hip vide popular with visitors who have a slightly retro aesthetic leaning. The rooms also have their own Nespresso coffee machines, in addition to fluffy beds and mini-bars. However, the most impressive aspect of the rooms has to be the fact that they give you a wide panoramic view of the city’s offerings. 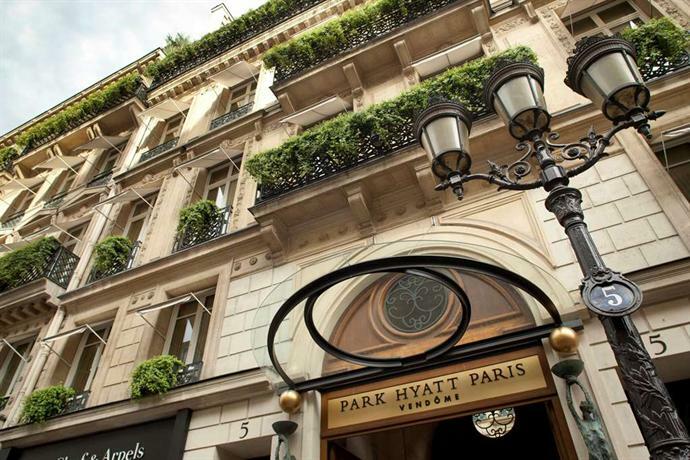 This is because the hotel is positioned strategically at the heart of Paris, overlooking Rue St. Honoré. However, for some guests the prime location also proves to be a double-edged sword because certain noise complaints have been made by guests of this five star hotel. 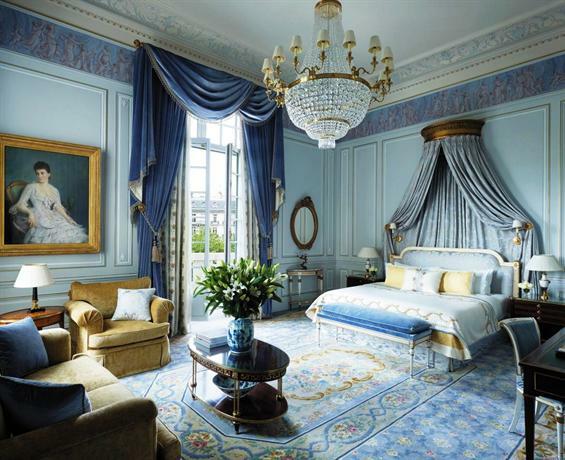 Le Meurice is a five star luxury hotel, which has pride of place as amongst the Dorchester Collection of hotels. The aesthetic sensibilities of the hotel can be best described as a heady mix of sheer extravagance and opulence. However, the regal status of the hotel is maintained because it has been hosting royalty and celebrities since its first opening in 1815. In fact, this was a favored haunt for beloved surrealist artist Salvador Dali, who regularly retreated into its suites to work on his masterpieces. The hotel is located on Rue de Rivoli, which is quite close to the Louvre and features several boutique shops and restaurants in the neighborhood. This fortunate location is every bit as crucial to the attraction of the hotel as its history of patronage. 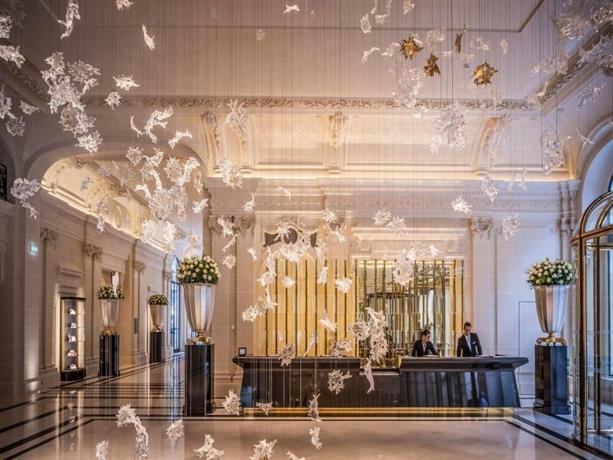 Le Royal Monceau-Raffles definitely stands out amongst all the other boutique and luxury hotels in this list because it prides itself as part-hotel and part-art gallery. The hotel has a really friendly staff, and all the rooms and suites are built artistically. The rooms generally tend to favor “wooden” aesthetics, and they feature a lot of grays in the color scheme. One of the most famous suites in the hotel — the Ray Charles Lifestyle Suite — named after the famous pianist who frequented this hotel, also has a grand piano. It is also home to Michelin-starred Il Carpaccio restaurant and as such is sure to draw all the lovers of fine dining experiences. The biggest attraction of this luxury five star hotel is its prime location at the heart of Paris, close to the Louvre and the Palais Garnier. The rooms and hallways are decorated in earthy and neutral brown, beige, and white shades. The bathrooms are made primarily of limestone, with heated floors, rain showers, and a deep bath tub you can easily immerse yourself into. Guests of the hotel mostly recommend it for its location, the quality of the rooms, and bathrooms, however there have been complaints made about the fact that the quality of service leaves something to be desired. This hotel is not quite as expensive as some of the other boutique hotels in this list, however it’s no less charming. This has been a landmark hotel since it was first established in 1928, and since then it has welcomed dignitaries such as Winston Churchill and celebrities such as Elvis Presley. The hotel has been designed in the Art Deco style which was in favor around the time it was first created, and it is located in the prime location of George V Avenue. 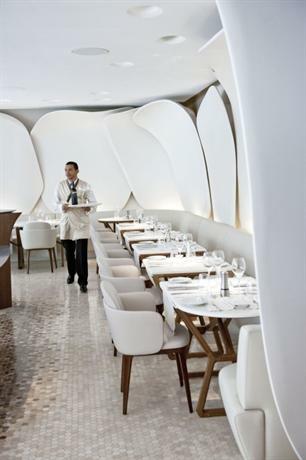 It features two charming restaurants, both of which are Michelin-starred. The breakfast itself is pretty expensive at the restaurant, however if you opt for the Starwood Platinum membership, you can be served breakfast for free. This luxury five star hotel is located so close to the bank of the river Seine that you feel like you can almost reach out and touch it. When you look out the window, you can see the Eiffel Tower standing tall in all its glory. 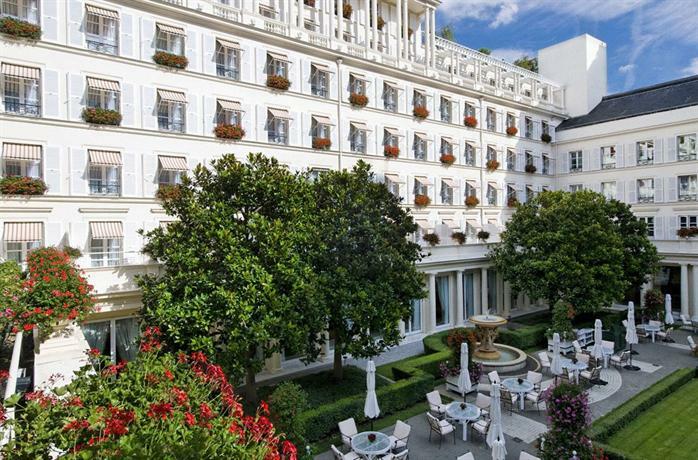 A true pleasure for a sybarite, this hotel gives you a glimpse into the aristocratic and elitist past of France with its over-indulgence in luxury and sensory overload. The hotel features a wedding-cake shaped facade, and several salons that have been recreated into what they looked like in the days gone by. The work and effort clearly shows as the minutest of details have been taken care of. 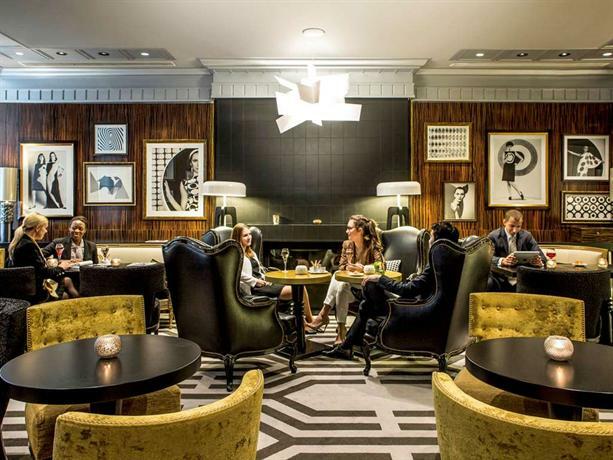 Sofitel is a luxury boutique hotel placed in the desirable and buzzing crossroads of Concorde and Faubourg St-Honoré, as such this is where all the fashion elite of the city gather periodically. Appropriately enough, the streets are lined with boutique stores and shops with the most fashionable outfits that Paris has to offer. The Concorde metro station is also within walking distance so traveling is easy. This hotel is where the classic and the modern collide and sparks do fly. Thanks to the designer, Didier Gomez, the two aspects of the hotel nicely compliment each other. 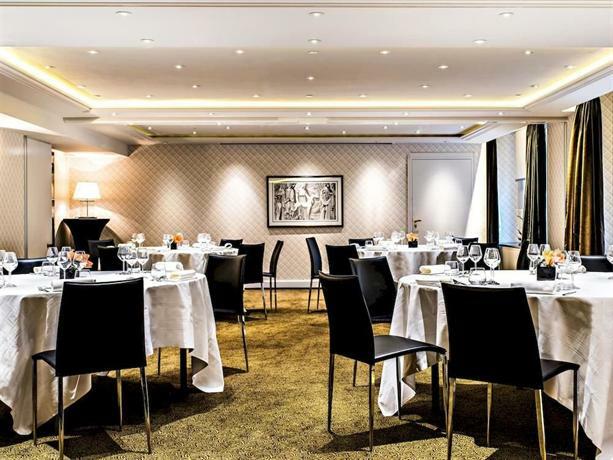 This trendy five star hotel is located on the Champs-Elysées street, very close to the George V metro station, thus making it a great location for transportation throughout the city. You can even walk on over to Charles-de-Gaulle Etoile, a location that’s thriving with restaurants and art cafes. The hotel used to be a private residence owned by Santiago Drake del Castillo, but after his passing it was turned into a hotel in 1930. As such, there are certain remnant details, such as the spiral staircases, that make it feel distinctly like an apartment rather than a hotel room. Art works by the 20th century Russian artist Boris Pastoukhoff line the walls of the hotel. 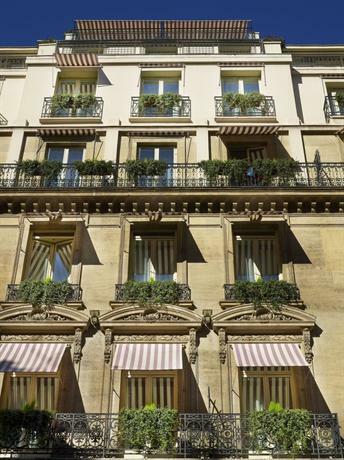 This luxury and expensive hotel is located in the busy and trendy Opéra district, right next to the Palais Garnier. The foremost tourist attractions near the area are Palais Royal gardens and the Louvre. It’s also very well connected to the rest of the city because the Opéra metro station is located within walking distance from the hotel. The hotel has been designed to primarily appeal to people with modern contemporary aesthetic leanings, but perhaps with just a dash of Parisian Haussmannian finesse. The hotel isn’t as large as some of the others in this list, with 91 rooms. However, they’ve all been designed in a quirky style. The different pieces of furniture and motifs in the hotel such as the cornices and the half Louis XV chairs display only a dab of Parisian sensibilities, and the rest of it melts away into modern aesthetics.